Some stories are bigger than their origins. Sometimes it seems that instead of telling a tale of a specific boy and a specific father (or merely father figure) we are drawn into the basic realities of life; work, family and ambition. The last time I felt a primal, simple connection to a work of fiction was Cormac McCarthy's The Road. With Zen-like calmness it told of a desolate post-apocalyptic America from the point of view of a father and son. 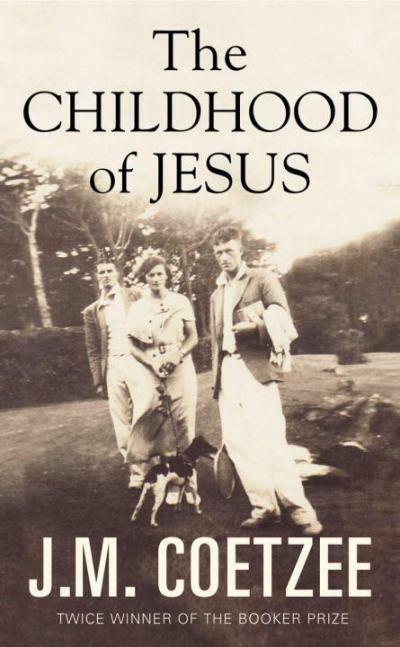 The Childhood of Jesus is from the same mold in many ways, including the Pulitzer prizes that both authors carry, and also concerns itself with a near future scenario, where a man and a boy travel from uncertain beginnings to an uncertain end. The tone of the novel, however, is notably brighter than in The Road. It is almost a serene piece, with an easily distinguishable pace that walks instead of runs and promenades instead of races. Coetzee is almost as concerned with watching the scenery and letting his characters get their say as he is with advancing the plot. At times this is confusing, since there is no clear direction for the action, both a curse and a blessing. I had trouble anticipating the turns and their pacing and once I did feel the tempo to be too Andante. Who knows, this might be only me. I did spend most of my time this summer reading action packed thrillers like World War Z and Inferno. The name is both a clever marketing ploy aimed at turning gazes in bookstores and a central concept to Coetzee's character development. No one here is actually Jesus, thankfully, but there are certain connections that can be made and some clever quips and turns of phrase that allude to the title. It gives the novel a ghostly second meaning that seems to ask more questions than it answers. I won't go into plot details, you'll know enough by reading the back cover. 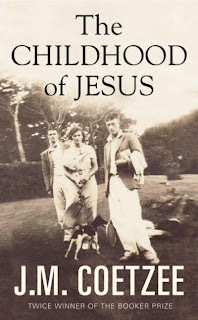 Off the top of my head, I had two main thoughts while reading The Childhood of Jesus. First of all, I was caught off guard by the old-times vibe and simple aspirations of the characters and scenes. In a world of super-high-speed everything, it is easy to forget the simple pleasures of physical labor, boredom and, alas, ordinary conversation. The world described does not exist anymore, at least for a vast majority of city-dwellers living in western countries. Machinery and robots operate everything, we are only puppet masters removed from the actual context of the work. On the other hand, I'm wondering how traditional literature will survive in a world of clicking on electronic screens and thumbing text-messages on touch pads. Somehow it seems we lack the language and capabilities to describe the modern world in a meaningfully accurate way. How to describe a world of smartphones without resorting to visualizations? Is there any joy in describing people interacting with machines? I have no answers. Perhaps this is the reason for Coetzee's nostalgic ride into a non-modern society.